Night view of Lake Annecy. A little distance from the lake is Annecy’s old town, an area of small pedestrian-only winding lanes alongside a canal, so quaint and so laid back that you immediately fall in love with the serene beauty. Only frequented by French tourists from elsewhere in France, the new part of the town has undergone commercial renaissance with well known brands, but manages to retain its charming aura. Like the locals at Annecy, we spent the majority of our time at cafes in the old town that serve up gastronomic food, alongside the canal and with unobstructed views of the Alps. The winding canal along the narrow lanes of the old town of Annecy. The Annecy canal with the Alps in the background. In the heart of Annecy's old town. Eating & drinking at a cafe overlooking the Alps, that's life at Annecy. Annecy was once a prison town, and the prison is now identified as a historical landmark. Surprisingly enough, this prison is remarkably beautiful in its location amid the canals. Old prison at old town Annecy. Annecy is ripe with every bit of gastronomia as Paris, if not more. Boulangeries, pattiseries & chocolateries are sprinkled all over the old town and what can I say, even for a vegetarian like me, they’re a piece of heaven. We stumbled upon a moving market stopping over at Annecy with trailer parks full of varieties of cheese, fruits and veggies that I couldn’t count or recognize, but that smelled so good, it was sure the key to all the gastronomia in the small town. Moving street market at Annecy. Look at the number of cheeses! Thanks for the article on Annecy and Chamonix. I’m planning to visit them both (and paris as well despite reading the article on paris as well). I have 6 days for doing both the town including my travel from London-Geneva-Chamonix (0.5 day) and Chamonix-Annecy(0.5 day). It leaves me with 5 days. Is 3.5 days in Chamonix and 1.5 day in Annecy is good split? What activities I can do except some town sighting (0.5 day) and cycling around Lake Annecy (1day)? I would love to move to Italy and travel all over Europe but I am on a very small pension. Can you give me some suggestions on how to finance my travels? Thank you very much. I stayed in France for four months. All of those days I was looking to explore just cities like Paris, Dijon, Grenoble etc. Never thought of roaming in villages and small towns. 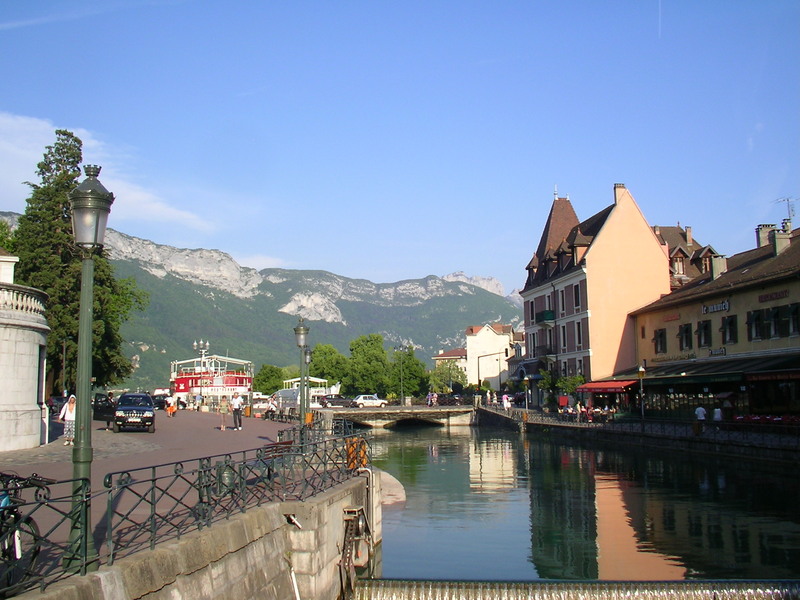 Annecy looks beautiful from the pictures you posted especially the one with Alps on the background is “Magnifique”. Your description of this town is very simple. I like it. Next PostChamonix: Of French Alps & Summer Snow.